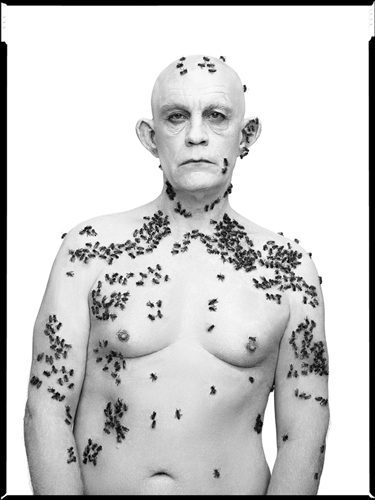 Sandro Miller honors iconic images by photographers who influenced his own development as a photographer through a series of images made in collaboration with actor John Malkovich. Familiar yet odd and strangely beautiful, Miller and Malkovich have reenacted some of the most familiar images in the photographic canon. 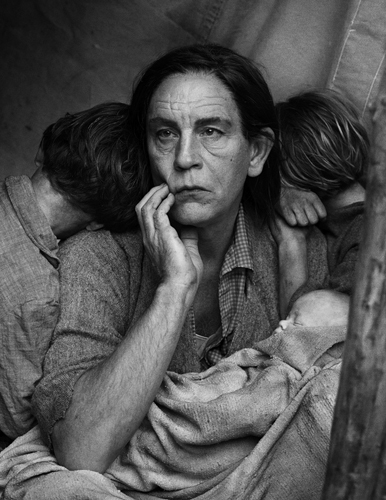 Malkovich’s uncanny ability to transform his persona into such personalities as Marilyn Monroe, Meryl Streep, and Andy Warhol to Dorothea Lange’s Dust bowl era migrant mother and Edward Sherriff Curtis’ portrait of Three Horses is disquieting and convincing. Miller has more than 30 years experience as a commercial and fine art photographer. He has in international exhibition record and an extensive publication history. His awards include the International Photographer of the Year Award from the Lucie Foundation and inclusion on the 200 Best Photographers list over multiple years from American Photography. At the Cannes Lions International Festival of Creativity in 2011, he received the Saatchi & Saatchi Best New Director Award for his short video Butterflies which features John Malkovich. Miller works and lives in Chicago.